New technology is as hot as the water in your tub. 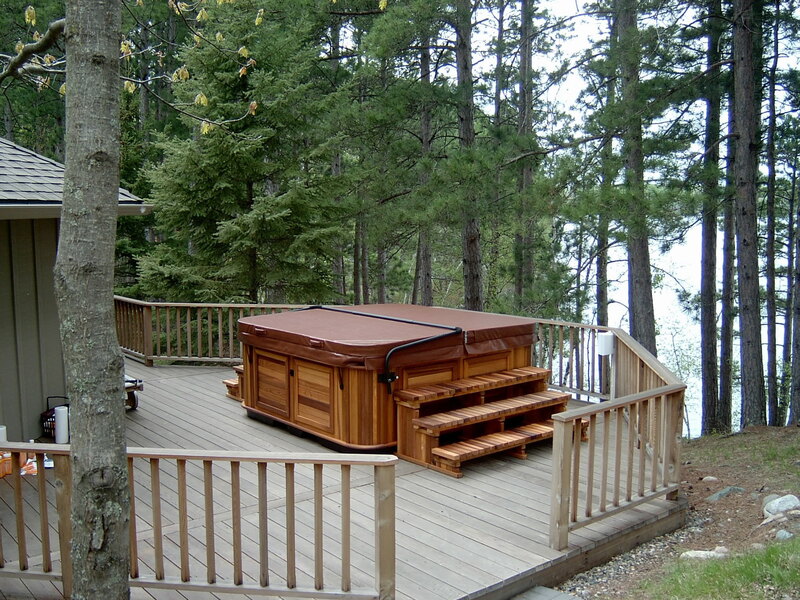 There is no better place to unwind and spend some time with friends and family than in a hot tub. With the fall soon here, it’s the perfect time to relax the body and mind with a new hot tub, and with the rapid advancement of technology, the hot tub experience has become increasingly convenient and beneficial. While new features are constantly being incorporated into the latest hot tub models, Brent Macklin has identified five of the top hot tub trends for the fall and winter of 2015. Automated Water Treatment – Water treatment does not have to be a burden for hot tub owners. Technology advancements like built-in chlorine generators and automated testing and dosing has made water maintenance convenient and easy. Not onlydoes this automated technology save you time and money, the water quality measurements are displayed in real-time on the controls and through any web-connected device. The hot tub keeps itself clean and safe and you can check the waterquality status from anywhere via the internet using your smartphone, tablet or laptop. Increasing Energy Efficiency – In order to keep energy costs down and minimize your environmental footprint, energy efficiency is becoming increasingly important in hot tub design. Arctic Spas’ innovative built-in, real-time power consumption monitoring allows owners to input their local electricity cost provided on their utility bill, and the hot tub calculates what their hot tub is costing them. Built-in self-diagnostic topside controls that monitor and adjust temperature levels and reliable covers or lids are also key when it comes to preventing heat loss and unnecessary energy use. Larger Tubs –Having a swimming pool and a hot tub at your home may have previously been seen as a luxury, but with the recent advancements of swim spas, it’s now affordable and convenient. Swim all year, hot tub all year and entertain the kids all year in all weather pools big enough to accommodate family and friends. Two to three times the size of a typical hot tub, all weather pools still have all of the hot tub features plus some of a swimming pool, such as depth and size. They also enable ‘lap swimming’ using counter current jets or tether poles. Some models feature backlit swim up bars, just like tropical resort pools and maybe best of all, the cost to run all weather pools is not much more that a hot tub. 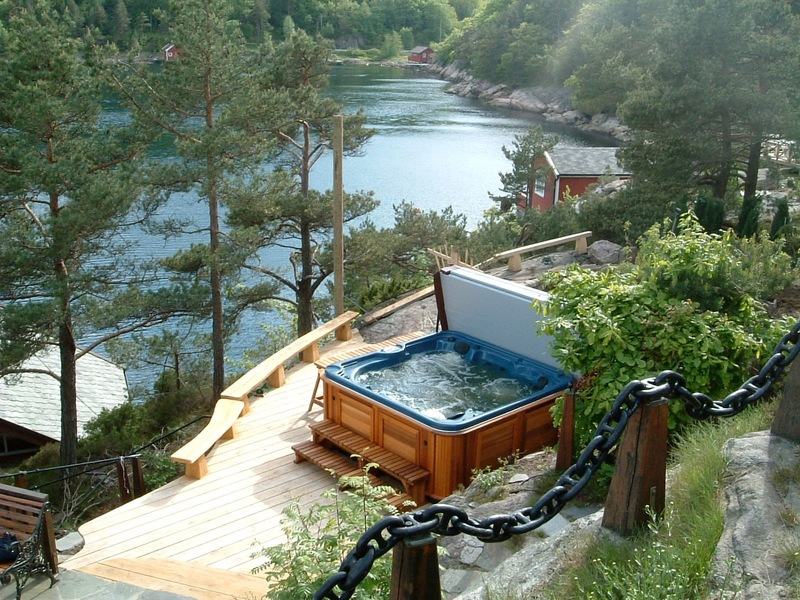 Both the Arctic Spa hot tubs and all weather pools cost about $1 per day. LED Lighting – Colourful lighting can take your hot tub experience to the next level by not only adding visual appeal, but also conveniently illuminating features like drink holders and jets. Lighting options such as Arctic Spas Northern Lightsystem, inspired by the Aurora Borealis, brings digital colour changes and fades to your spa. You can choose the perfect lighting scheme to fit your mood, adding to the ambiance of your soaking sessions or backyard parties. Therapy – Chromatherapy, or colour therapy, is a growing trend in hot tub design, where coloured lighting changes the overall look of the water and can help calm and rejuvenate the body. Hydrotherapy water massage has also become a major benefit in owning a hot tub as it can help improve circulation, decrease joint pain, and accelerate the body’s natural healing processes. Another growing interest is aromatherapy, where specific scents combined with the natural warm flowing water and comforting lighting help relax the body. For more information on hot tub trends or Arctic Spas products, visit www.arcticspas.com.